Warrior replied to Is Malindo still starting SYD in June? moa999 liked Is Malindo still starting SYD in June? AsiaBizTraveller replied to Air NZ Sky Couch Concept - does it work? Yes, I often find that hotels won't take my debit card for as prepayment for incidentals, and I don't want to hand over my stash of local currency because that's for my spending, not sitting in some hotel safe! I find the easiest option is to carry a €100 note in my travel wallet and hand this over as a deposit: I won't be spending that €100 in Asia but it's sufficient to cover around three days of incidentals. Last edited by ChrisCh at Sep 21, 2018, 01.02 PM. I've experienced all sorts of delays by hotels in releasing the so called necessary pre authorisation, despite the fact accommodation usually has been paid weeks in advance fully. I wouldn't be going to backstreets for atm withdrawals. 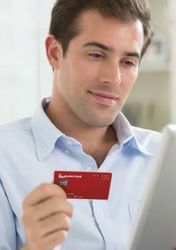 I prefer using a credit card rather than a debit card, and have usually had good assistance from the bank when needed. On a recent trip I had no issues using a Debit Mastercard for security deposit at Hilton KL, Hilton PJ and a villa in Bali. It might seem overkill to some but I’ve resorted to emailing each hotel I’m pre-booked into for specifics about their various security deposit requirements. They’re all different and I want to know what I’ll be up for in advance and prepared accordingly especially as I don’t want a string of pre-authorisations on my card. I used to live across the road from the Story bridge hotel in Brisbane. I would get a tab going at the bar for convinience. One fine evening I tried to use my credit union Visa debit card. The bar chick came back and said we can't accept V debit for a tab. I walked into the bistro, grabbed a steak knife and carefully scratched off the printed word "debit" in a neat little triangle. Went back to the bar, different bar chick gives me a tab no problem. Now I remove the debit immediately when I receive a new card. Within Aust, I have used my Visa debit without question. While in NZ, I have used ING and also a credit union Visa debit, also without question. In SIN in 2013, I also used the ING Visa debit without question. Now, the coming back of the deposit/pre authorisation timeframe, that is another matter, have waited 10 days at some hotels for the funds to come out back to me. Interesting thing to do that one, but would I do it, nak. Last edited by Andrew Barkery at Sep 22, 2018, 07.28 PM. Really...why would you go to so much trouble? As Chris points out just use a credit card and pay with other means at check out if necessary. Hardly difficult. They often complain about debit cards-even though the money comes directly from your account - they must have safeguards dealing with a credit card company? Understand a Visa Debit acts as credit card for relatively small amounts when overseas. That should cover their worries about Debit Cards for hotels. Don't think it would apply to purchase a car though! Just get a Diners Club or Amex Charge card of some type. Even if you dont need to use it much as a credit card I find it's great for Hotel check-ins... I do alot of those and either of these work out well. For some, Amex is Diners are not an option . Lower income or past debt ie would be denied a card, credit or charge. Haven't been to Asia since 2013, so can't say about hotels there, but NZ hotels will accept Visa or MasterCard debit cards. Refunds do take 10 days or more still though. Last edited by Andrew Barkery at Mar 25, 2019, 02.50 PM. The issue may be that pre-authorisations can't be done on (some) debit cards the same way they can on credit cards. That would certainly explain why some hotels won't accept them.